I’m proud to partner with P&G on this sponsored post for Charmin Forever Roll. These guest bathroom essentials will make everyone feel at home whether you are entertaining a visitor or an overnight guest. I always try to keep my guest bathroom tidy and well supplied. 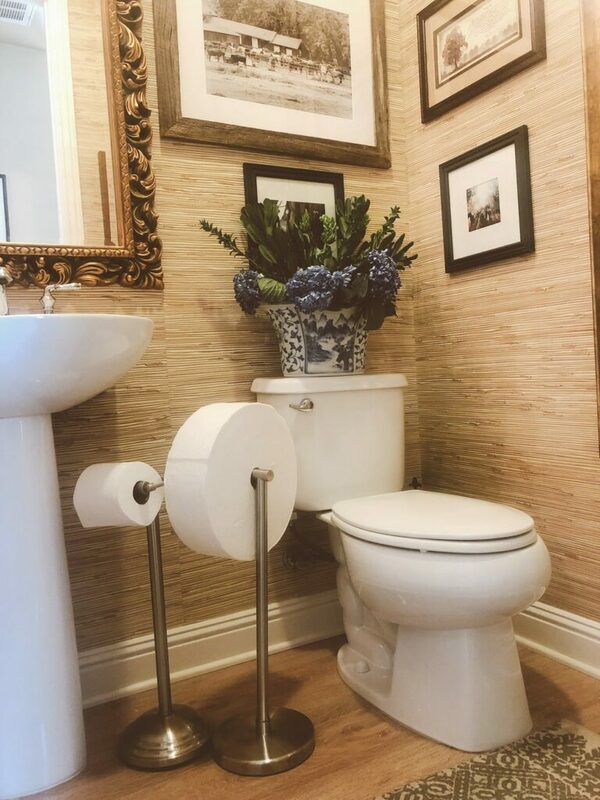 We’ve probably all been in the awkward situation when we visit a bathroom at someone’s home and needed to rummage through their cabinets to find supplies. Ugh, it’s embarrassing and feels intrusive. Well, Charmin Forever Roll has an innovative solution with a roll that can last up to one month! I could really see the difference when I put a regular roll side by side. Isn’t this so smart? Your guests will thank you for being so thoughtful. Plus it is available in Charmin Ultra Soft, America’s softest toilet paper made with 2-ply sheets so you know you are supplying your guest bathroom with the very best. It is perfect for your guest bathroom and also perfect for every bathroom. Imagine not having to constantly change the roll? Is it just me or are you also the only person in the house that ever changes the roll? Well, now thanks to the Charmin Forever Roll, you may only need to do this once a month! With your Starter Kit, you get 3 Forever rolls, free shipping, and a FREE stainless steel roll holder. You can choose from a 1-user bathroom or a multi-user bathroom. They thought this through and came up with a terrific solution. If you are having overnight guests, it is a great excuse to replace a worn or dated shower curtain and bath mat. A tip I use is to have special guest towels in different colors from my regular towels. I only put these out for my guests so they stay nicer longer. Now is a good time to replace or fix leaky shower heads and faucets and check that the lighting is adequate. Air out the room before your guests arrive and provide air fresheners, reed diffusers, sprays or candles and matches when they are here. I like to provide a basket of toiletries including a hairdryer, shampoo, conditioner, cotton balls and swabs, toothpaste, a toothbrush, and a razor. Even the most organized travelers will usually forget something and traveling with liquids is more challenging these days, so having those items readily on-hand is very thoughtful. 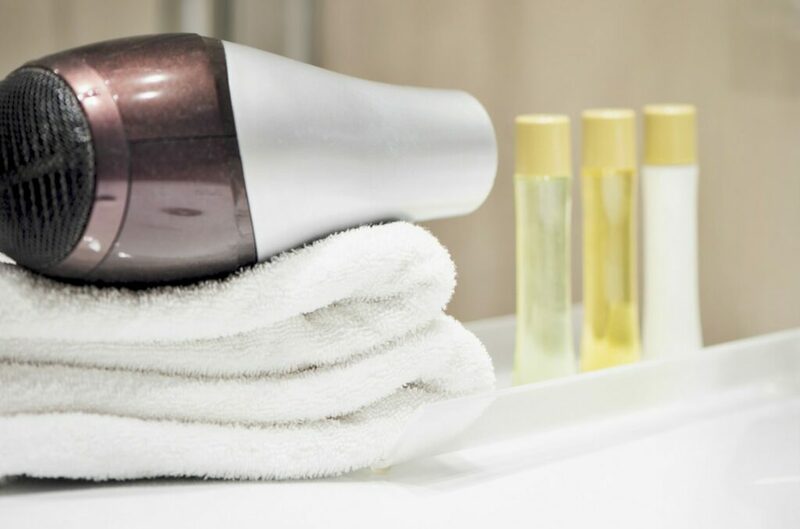 If you bring home hotel toiletries, this is the perfect time to put those to good use. 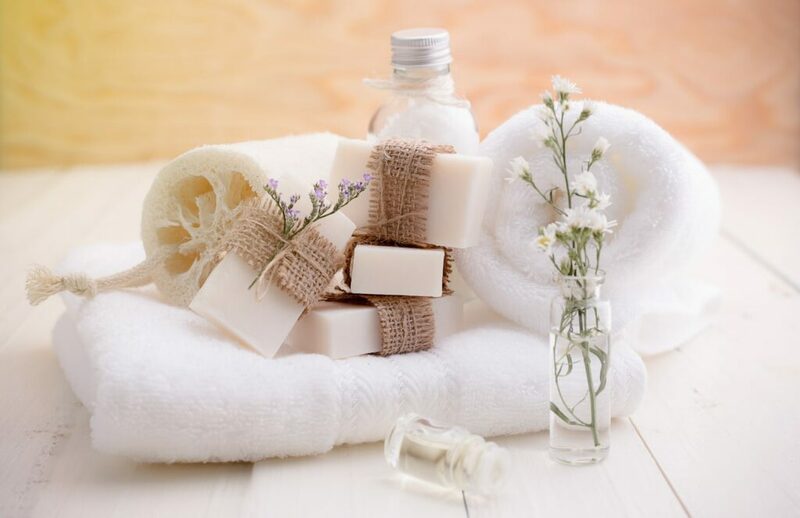 To take it a step further, you can include spa-type items such as bath salts, loofas and bath brushes to make your guests feel pampered in your home. Brighten up the bath with a vase of fresh flowers and add a subtle aroma with scented soaps or potpourri. Nothing makes a space feel special like fresh flowers or greenery. 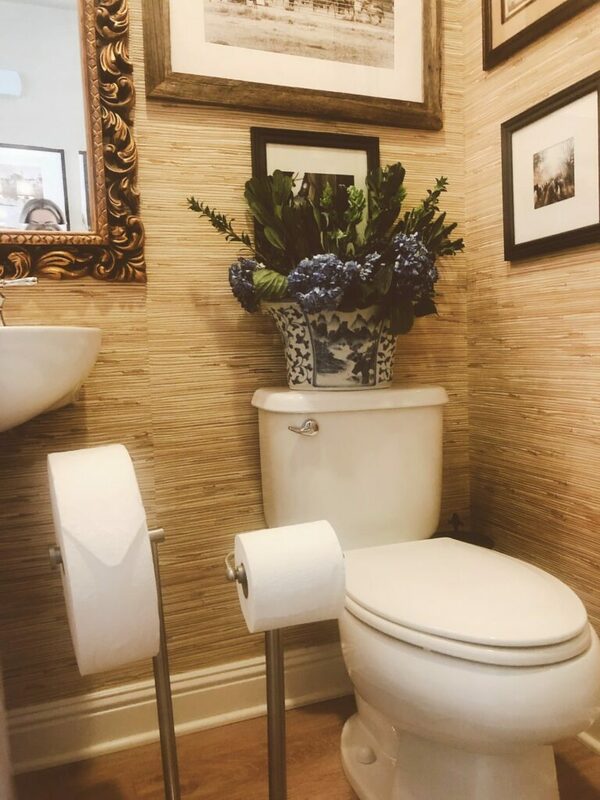 If you have a guest bathroom separate from your family bathroom, consider yourself blessed. I grew up in a home with four siblings and one bathroom so having a guest bathroom has always felt like a luxury to me! Now you can see just how much you get! Be sure to order your Charmin Forever Roll Starter kit at shop.charmin.com. With the Starter Kit, you get 3 Forever rolls, free shipping, and a FREE stainless steel roll holder. If you’re not satisfied with your Forever roll, Charmin offers a money-back guarantee and will refund your purchase. 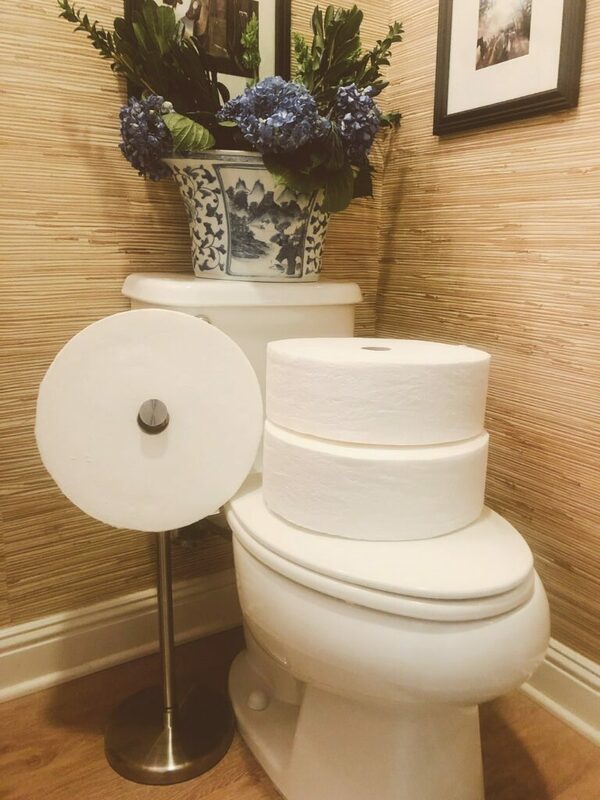 You and your guests will love not having to constantly change the toilet paper!